Somerset County Sheriff Dale Lancaster says authorities are continuing their search for suspect John Williams, who is accused of gunning down Somerset County Deputy Cpl. Eugene Cole. 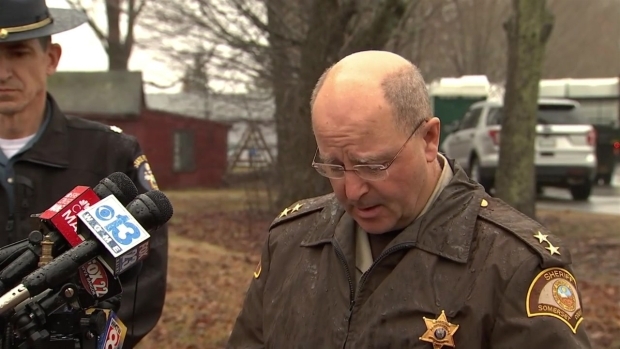 Authorities are continuing their search for a man sought in the fatal shooting of a deputy sheriff in Maine. The shooting of Somerset County Cpl. 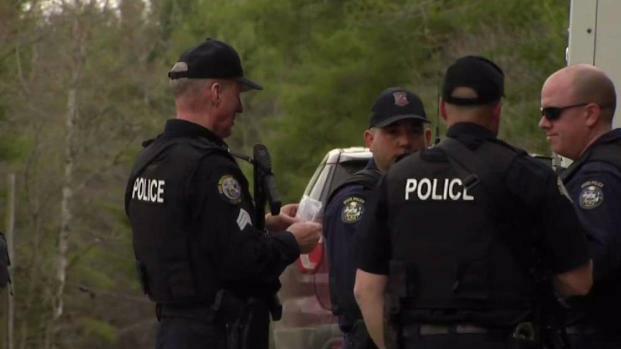 Eugene Cole on Wednesday in Norridgewock has triggered an intensive search for 29-year-old John Williams in and around the heavily wooded rural community about 60 miles west of Bangor. He's considered armed and dangerous. Police urged the community to keep homes and cars locked. Police said Friday that they are hoping to speak with Williams, as they've heard he may be interested in communicating with them. 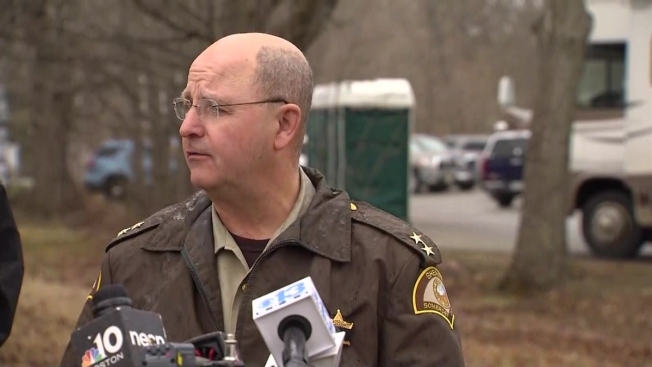 "We will do anything to resolve this peacefully," Somerset County Sheriff Dale Lancaster said. "I would like him to understand that we are here, we're willing to listen. Please, reach out and let's start that communication." The ongoing manhunt is focused on the Martin Stream Road area after police announced they had no information to lead them to believe the Madison resident had left following the slaying of Cole early Wednesday morning. Lancaster said road blocks were established overnight and several areas were searched as a result of new leads. Friday's operations included door-to-door checks and searches of wooded areas. The manhunt has included helicopters, armored vehicles, and police cruisers. Local schools have been in lockdown as federal, state and local law enforcement pour into the region to look for Williams. "We have three separate operations involving officers from Maine, New Hampshire and federal assets," Maine State Police Lt. Col. John Cote said. "We're confident we're puting good focus in the right areas." Gov. Paul LePage issued an emergency proclamation Friday restricting hunting in the portions of Norridgewock, Skowhegan and Fairfield where the manhunt continues. Turkey hunting season is set to kick off Saturday in Maine. "We are heartbroken yet determined to find the fugitive and bring him to justice as swiftly as possible," the governor said. 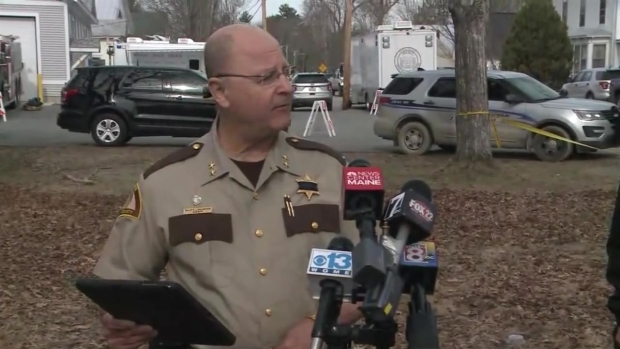 "I ask all Mainers for your continued cooperation and patience during this difficult time." Lancaster said 175 to 200 officers from multiple agencies, including the FBI, have been working on the case and are being assisted by law enforcement in Massachusetts and New Hampshire. The FBI has offered a $20,000 reward for information leading to Williams' arrest. "We have had over 200 police officers here. We've been working around the clock," Lancaster said. "They've been giving us their all, but we have some tired officers." Cote said police want to hear from anyone who may have had contact of any sort with Williams after Cole's shooting. "We now feel, through investigative efforts, interviews with family members, we have a very good handle on John Williams' activities and his movements for the 24 hours preceeding the event," Cote said. "What we're lacking right now and continue to seek is anyone who had contact with him after 2:30 a.m. Wednesday. Those types of contact are critically important to us as we attempt to locate him and take him into custody." Somerset County Sheriff Dale Lancaster said authorities are hoping to speak with suspect John Williams, as they've heard he may interested in communicating with them. Williams is accused of gunning down Somerset County Deputy Cpl. Eugene Cole. Williams is described as 5-foot-6, 120 pounds with blue eyes. His hair is brown and unkempt, and he has a full beard. He was last seen wearing a black beanie hat, a dark-colored zip-up jacket, gray pants and tan boots. His last known address is 16 Jones St. in Madison, and he has ties to both New Hampshire and Massachusetts. Police said he has at least eight tattoos, including the words "Seven Eleven" on his chest, the abbreviation "est" just below that, the name "Williams" on his lower abdomen, a half sleeve on his left arm, the word "Semper" on his upper right arm, the word "Fidelis" on his upper left arm, a small safety selector symbol on the back of his left hand, and "Molon Labe" on his right forearm. According to records checks, he does not have any military experience. A little over a month ago, on March 22, Williams was arrested on multiple firearms charges and traffic violations in Haverhill, Massachusetts, after he apparently drove off Interstate 495 and into a ditch. He was found with a 9mm handgun and a 16-round magazine after he told the police that he dozed off while driving. 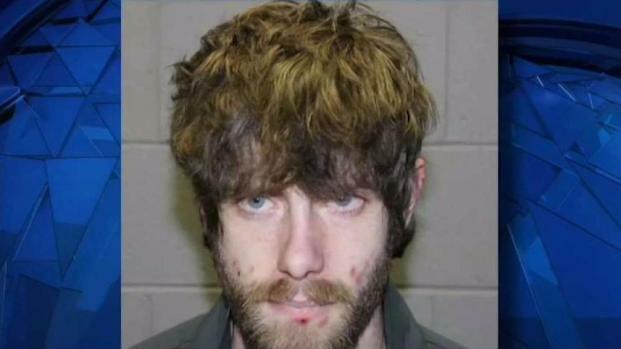 Authorities have offered a $20,000 reward for information leading to the arrest of John Williams, accused of shooting and killing a sheriff's deputy in Maine. An officer wrote in the report that Williams appeared tired and impaired, but denied having consumed any alcohol or illegal drugs. 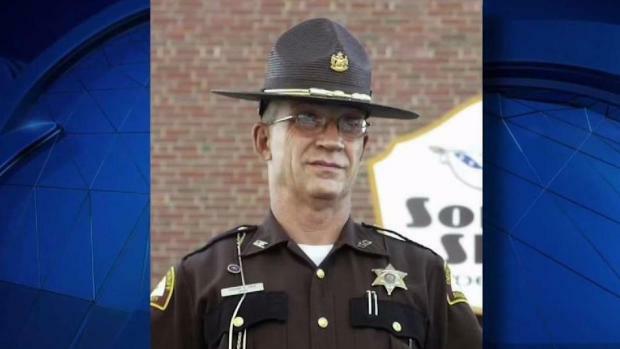 His funeral has been scheduled for Monday, May 7 at noon at the Bangor Cross Insurance Center, located at 515 Main St.
Somerset County Sheriff Dale Lancaster provides an update on the manhunt for John Williams, the man suspected of fatally shooting a Maine sheriff's deputy early Wednesday morning.